No, not a cheese popsicle, but a creamsicle cheesecake. I decided to make these little treats for when my dad came over for Father’s Day. I know he’s a big fan of creamsicle ice cream, but I wanted something a little fancier than just serving a big bowl of ice cream for dessert. I found this recipe for a full creamsicle cheesecake and halved it. I’ve found that you can mostly half any regular cheesecake recipe to make minis. I only cooked them for about 24 minutes instead of the full 40, and I did let them cool slowly in the oven, as the recipe suggests. 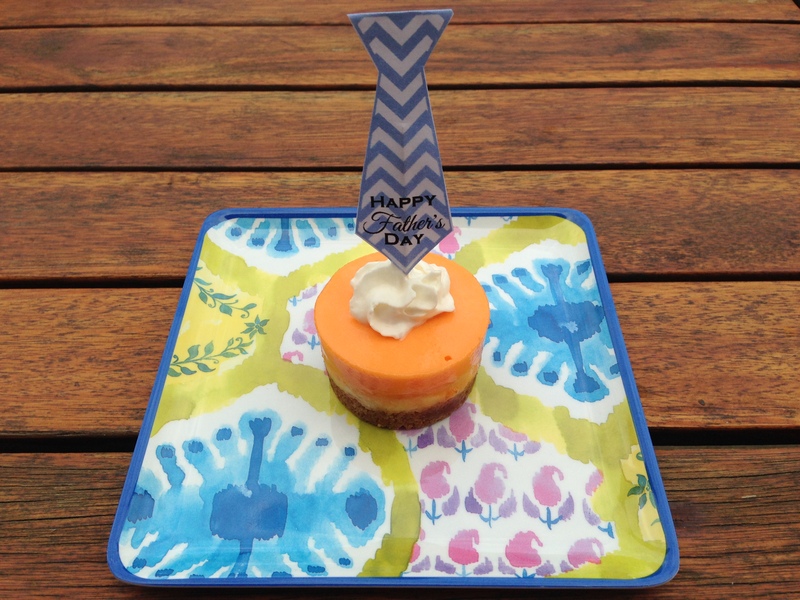 I also put a squirt of whip cream on the top and finished it off with a free printable Father’s Day Tie cupcake topper.